Enabling companies and brands to adapt and innovate, articulating strategies that are forward-thinking, Anne has helped teams with small and large-scale transformation that maps the strategic journey and engages leaders, staff and stakeholders to convert the strategy into performance and competitive advantages, improved efficiency and effectiveness. She recently conducted a review of the marketing structure, services and delivery, benchmarked against relevant industry standards, for a major airport operator. The review culminated in a new organisational design; a capability upgrade through recruitment of senior personnel, and the development and implementation of brand building systems. The CIO then commissioned her to put the IT department under a critical lens. Through a blend of internal audit and industry benchmarking Anne delivered a Customer Engagement report which surfaced the requirement for IT transformation and thereafter she established the transformation agenda and project-managed a significant body of work which included: organisational design, strategic plan, operating model, process improvements in service and solution delivery, communications programmes and the introduction of customer satisfaction tracking and reporting. Anne is an experienced strategic planner; capable of harnessing the key issues and consumer insights rapidly and thereafter developing strategies in order to address the issues, her strategic skills have been used by a number of clients in addressing brand, business and market challenges. Anne has developed and implemented the Strategic Marketing Framework elements inc: Brand Essence, Brand Positioning, Vision, Mission and Values and Brand Strategy, often through comprehensive employee research programmes, for many organisations and brands inc: a public service broadcaster, a major telecomms organisation, a national concert hall, visitor centres for a leading international whiskey brand and a global live entertainment brand. 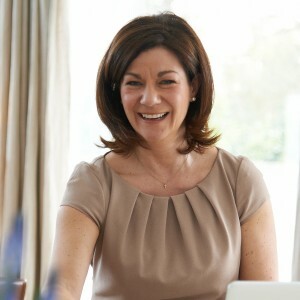 Anne has successfully led a number of brand and functional reviews on behalf of a number of brands. She recently led a review that informed a brand repositioning exercise that copper-fastened a radio station’s position as one of Ireland’s largest national music and entertainment stations.